In the autumn of 2018, we are bringing the small bronze together with a small yet astonishing group of international loans to create an once-in-a-lifetime show. The tightly focused exhibition will be devoted to the Budapest Horse and Rider with ten drawings by Leonardo himself and some sculptural works by his contemporaries influenced by the master’s ideas representing almost four decades while Leonardo reutilized the motif of the rearing horse. 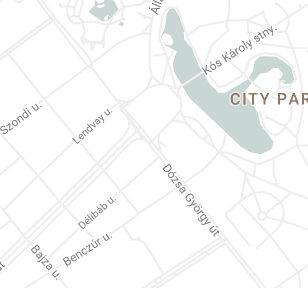 Not only will the exhibition bring together some of the greatest masterworks which will excite and inspire the new audience that rarely has the opportunity to see Leonardo’s works in Budapest, but it also offers a possibility for further understanding of the unique place of the Budapest small bronze in sixteenth-century Italian art. 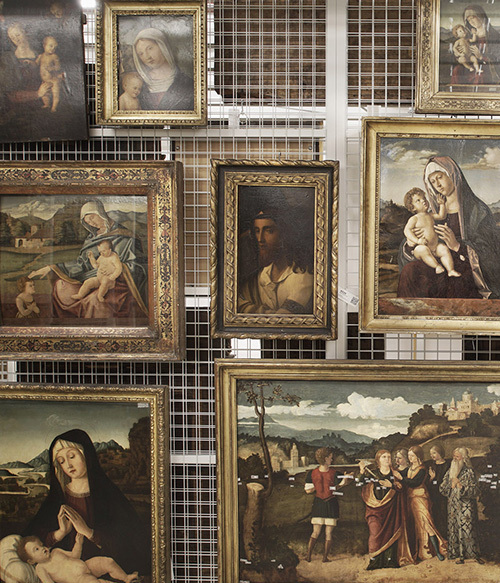 This will be the part of the world-wide series of events devoted to the five-hundredth anniversary of Leonardo’s death. 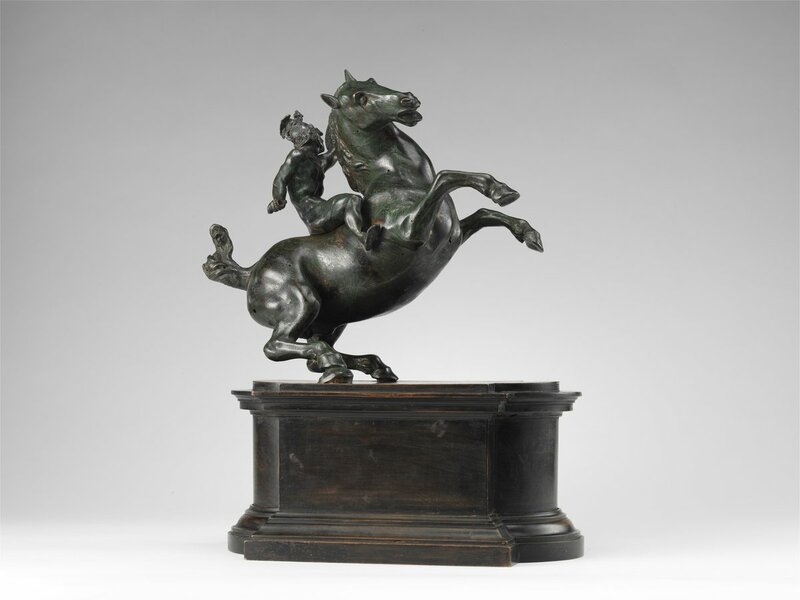 As opposed to many short-lived attributions of sculptural works to Leonardo da Vinci, the magnificent small bronze representing the vigorous group of a horse and rider has been attracting art historians for a century. 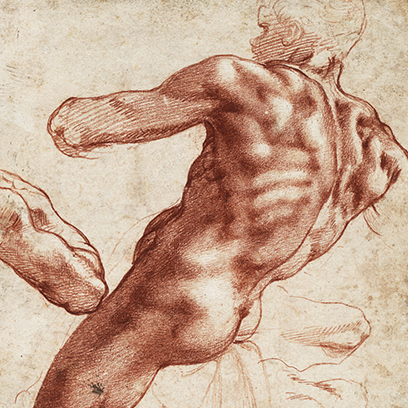 Leonardo’s apprenticeship in the workshop of Andrea del Verrocchio, the most progressive late fifteenth-century Florentine sculptor, contemporary accounts and above all his own drawings prove that Leonardo tried himself in sculpture, but no sculpture definitively attributed to him come down to us. Although the attribution of any sculpture to Leonardo is difficult to sustain without any secure points of comparison, the question of the Budapest Horse and Rider’s authorship has aroused a lively discussion: was the small bronze only inspired by Leonardo’s ideas or could it bear the master’s own hand? 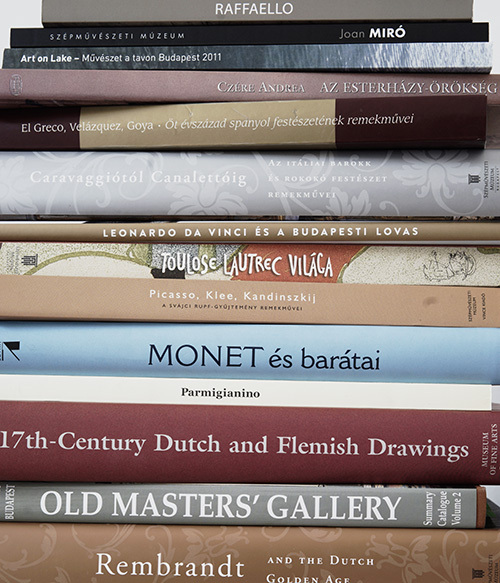 Richly illustrated catalogues in Hungarian and English accompany the exhibition. Curator of the exhibition and editor of the catalogue: Zoltán Kárpáti, museologist of the Museum of Fine Arts, Budapest. 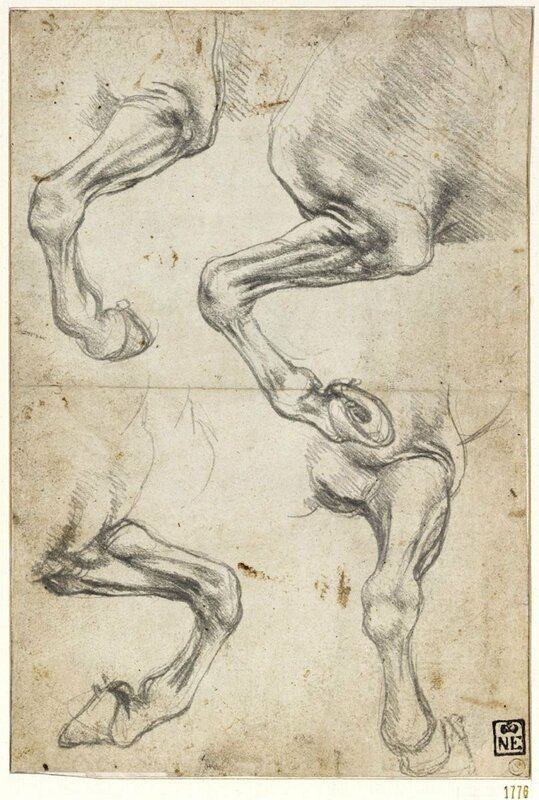 Of the three Leonardo drawings in the collection of the Museum of Fine Arts, the horse leg studies are the earliest. The master presumably made them for his equestrian monument to Francesco Sforza during his first sojourn in Milan around 1490. 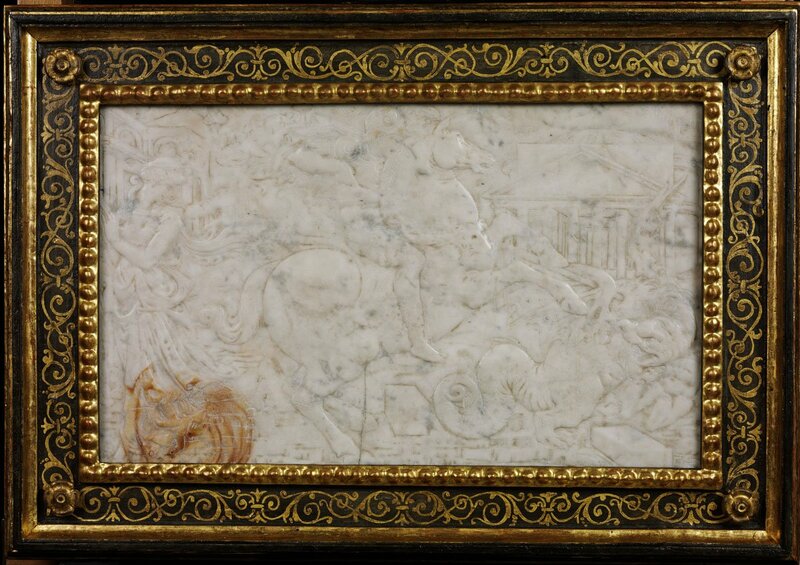 He must have drawn these detail studies – which beautifully illustrate the artist’s logical spatial thinking – in the Sforza stables, famous for their horses, in the last phase of the preparatory process for his monument. Three statues of a horse attributed to Leonardo – one from the collection of the Metropolitan in New York, one from the Hunt Museum in Limerick and one from the Museum of Fine Arts in Budapest – were first exhibited together in the Museum of Fine Arts in 1969. 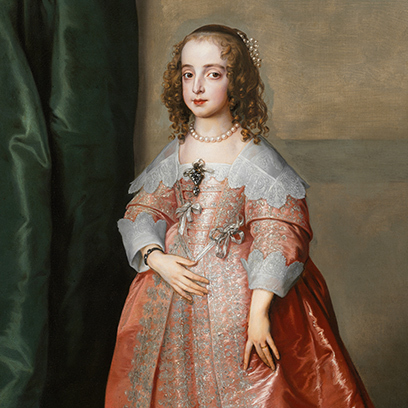 Back then, all three were presumed to be works by the master’s hand. The short film titled Horse Race in the Museum, which was screened at the exhibition at the time, can still be viewed. Thanks to the multimedia display designed for the new exhibition, visitors can gain an insight into the eventful story of the Horse and Rider of the Museum of Fine Arts’ collection over the past fifty years.